Where are the best places in Macon to see the most spectacular Cherry Blossom trees in full bloom? We asked hundreds of Locals that question and here are the most popular responses. Weather dependent, you are guaranteed to see some great blossoms at the following locations around Macon, Ga. The Fickling Farm is home to some of Macon’s first Yoshino Cherry Blossom trees, so be sure to check these out once they are in full bloom. 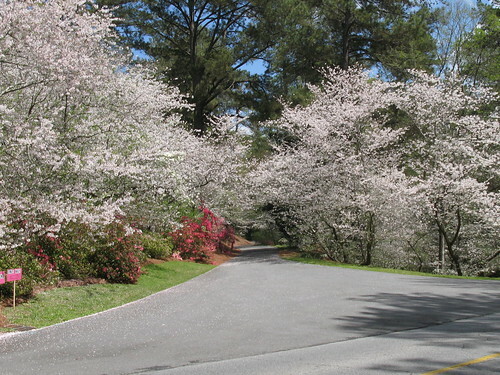 Driving through the Wesleyan Woods neighborhood is a favorite local pass-time during peak Cherry Blossom bloom season. 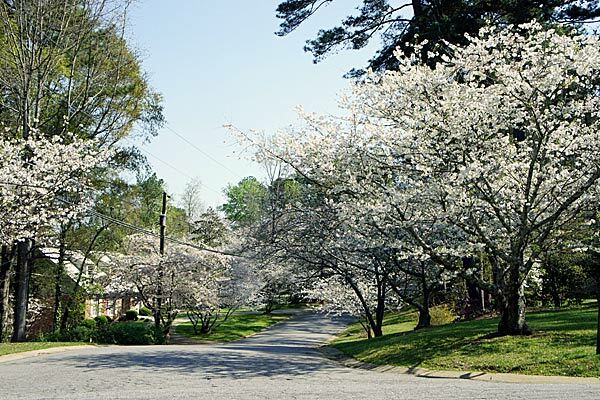 Guerry Drive is one of the numerous streets suggested if you are looking for breathtaking blooms. If you want to be in the heart of the festival as well as the blooms, then head downtown to third street park. When you stroll down the walkway lined with Cherry Blossom trees, you will feel like you’re in another world. Arguably one of the cutest areas in town, Ingleside Avenue is definitely a local favorite. From cute boutiques and restaurants to beautiful blooms, you will definitely want to put this street on your list. On your scenic drive around town, make sure you ride down Oxford Circle. This picturesque street is highly recommended by our Gateway Macon followers.